Diabetes is a disease in which blood glucose levels are above normal. Most of the food we eat is turned into glucose, or sugar, for our bodies to use for energy. The pancreas, an organ that lies near the stomach, makes a hormone called insulin to help glucose get into the cells of our bodies. When you have diabetes, your body either doesn't make enough insulin or can't use its own insulin as well as it should. This causes sugar to build up in your blood. Diabetes can cause serious health complications including heart disease, blindness, kidney failure, and lower-extremity amputations. More than two million people in the UK are known to have diabetes - that's about three in every 100 people. And there are an estimated one million people in the UK who have diabetes but don't know it. Type 1 diabetes develops when the insulin-producing cells in the pancreas have been destroyed. Nobody knows for sure why these cells have been damaged but the most likely cause is an abnormal reaction of the body to the cells. This may be triggered by a viral or other infection. This type of diabetes generally affects younger people. Both sexes are affected equally. Type II develops when the body can still make some insulin, but not enough, or when the insulin that is produced does not work properly (known as insulin resistance). In most cases this is linked with being overweight. This type of diabetes usually appears in people over the age of 40, though in South Asian and African-Caribbean people it often appears after the age of 25. Recently, more children are being diagnosed with the condition, some as young as seven. Type II diabetes is treated with lifestyle changes such as a healthier diet, weight loss and increased physical activity. Tablets and/or insulin may also be required to achieve normal blood glucose levels. Low Glycemic Index - doesn't create rapid peaks and troughs in blood glucose levels. 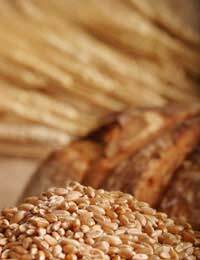 Complex High-Fibre Carbohydrates - Scientific evidence show that diet high in dietary fibre is protective against diabetes. Fibre is capable of slowing down the digestion and absorption of carbohydrate and increasing the sensitivity of tissues to insulin, thereby preventing rises in blood sugar. It is advisable to restrict the intake of refined carbohydrates and avoid high fat foods. Alpha-Lipoic acid - Is a vitamin like antioxidant that enhances the glucose uptake and improves diabetes nerves damage of diabetes patient. Omega 3 - Protects against the hardening of arteries. Omega 6 Fatty Acid - Protect against the development of diabetes neuropathy. Artificial Sweeteners - such as aspartame and saccharin. Refined and Simple Carbohydrates - such as sucrose, glucose or fructose, white rice, white bread, table sugar, sweets, honey, corn-syrup. Foods With a High Fat Content. Alcohol - Higher quantities alcohol can cause health problems like liver damage and increase the risk of heart disease. High Sodium Food - such as salty fish.